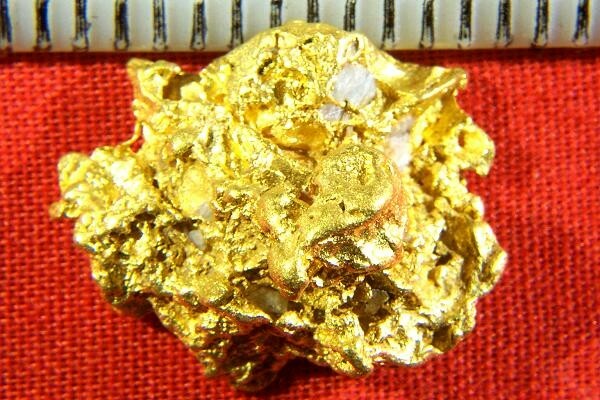 This natural Australian gold nugget is really beautiful. It has a beautiful textured surface, great lines, great color and very high purity. It is approximately 95% to 98% pure (22 KT to 23 KT) and it is an investment/jewelry grade natural gold nugget, the highest quality available. The size is just under 3/4" (19 mm) long. The weight is 7.1 Grams (109.5 Grains). 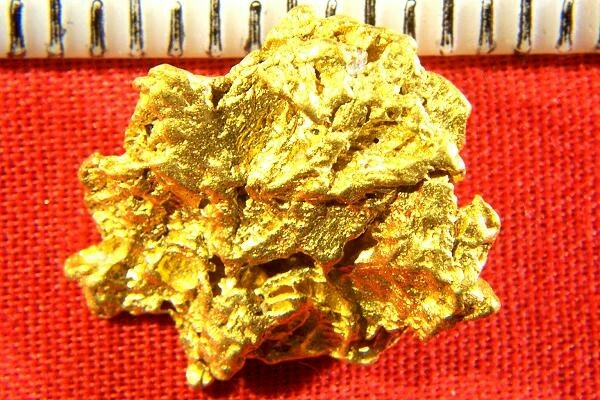 Display this incredible gold specimen for it's beauty, or make it into a gorgeous piece of jewelry. Either way it makes an excellent investment.